20 cm xxiv, 268 p.
This ed. originally published: New York: Simon & Schuster, 1981. 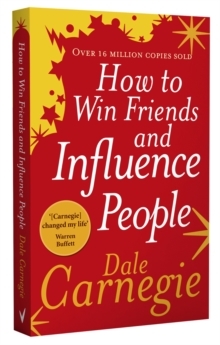 In "How to Win Friends and Influence People", Carnegie offers practical advice and techniques, in his exuberant and conversational style, for how to get out of a mental rut and make life more rewarding. His advice has stood the test of time and will teach you how to: make friends quickly and easily; increase your popularity; win people to your way of thinking; enable you to win new clients and customers; become a better speaker and a more entertaining conversationalist; and, arouse enthusiasm among your colleagues.